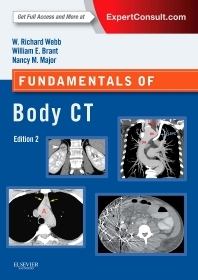 Perfect for radiology residents and practitioners, Fundamentals of Body CT offers an easily accessible introduction to body CT! Completely revised and meticulously updated, this latest edition covers today's most essential CT know-how, including the use of multislice CT to diagnose chest, abdominal, and musculoskeletal abnormalities, as well as the expanded role of 3D CT and CT angiography in clinical practice. Its everything you need to effectively perform and interpret CT scans.